Mike Gapes was known to you Howard ? Is this the MP you knew & does he have form? Good memory Paul, he managed to out Neil(wet fish) Thorne in 1992 and then set about turning it into a safe Labour seat. Quite cunning really, he spent most of his time helping local business people get "family members" from the sub continent into the country to work in their Chaat houses and sweat shops. In return said business persons instructed their community to vote for him at election time, probably unrelated but he did like his exotic holidays. One of the new Indies would fit in well with our Progressive Alliance on DDC. 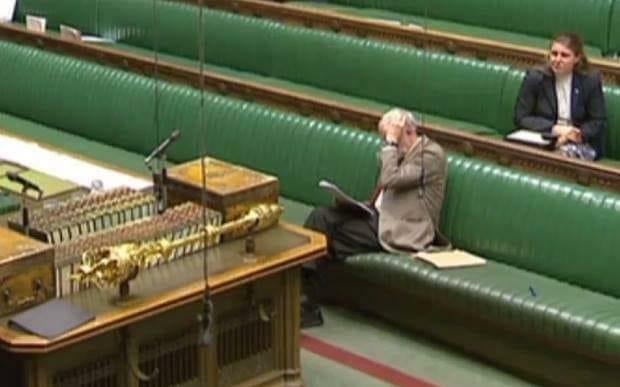 Jezza holding a meeting of the rest of the Parliamentary Labour party. For me the big problem with Jezza is that he surrounds himself with people who hold exactly the same views as him and anyone more centrist is side lined. Blair had John Prescott as his deputy and various left wingers like Corbyn were not hounded out even though they consistently voted against the government. Labour has pledged to hold a “massive listening exercise” after seven MPs resigned from the party. John McDonnell, the shadow chancellor, said his party had to address some of the criticisms levelled at it after Tom Watson, the party’s deputy leader, warned of a further exodus unless there were reforms. Other shadow cabinet members responded by saying they were disappointed that the seven MPs had left and called for unity around the Labour manifesto that voters backed in large numbers at the last general election. He also played down suggestions that more than 30 Labour MPs had considered joining the new breakaway group, saying he did not think the potential defections were “on that scale”. But the “Labour leadership — and I’m part of that — we need to keep listening, bring people in, talk to them,” he said. “If there are issues we need to address we will address them. If it is about the style of the leadership we will address that. If it is about policy we listen to that as well.” Mr McDonnell said the “only disagreement we have had within the party is around how we handle Brexit and I think we are bringing people together on that”. Mr McDonnell said the “only disagreement we have had within the party is around how we handle Brexit and I think we are bringing people together on that”. Really? The only disagreement, where's he been since Corbyn took over the leadership? The saying 'None so blind as those that will not see' springs to mind. Growing disenchantment amongst Jezza's supporters who are frustrated with his leadership. I think he was rather forced into this by his more vocal membership. 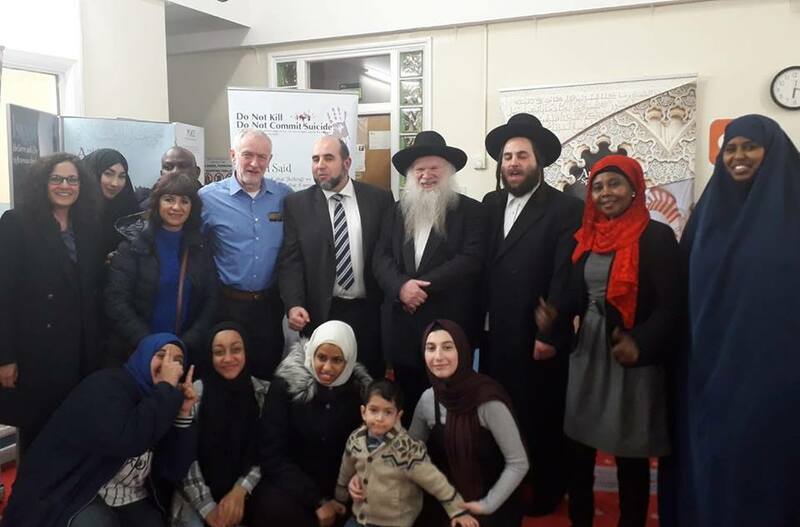 Labour constantly tell us that they are for the many not the few, Jezza goes a step further and embraces the concept of for the Mussie and the Jew. Jezza taking on his critics by bringing in issues that directly affect the less well off. Labour seem to be tying themselves up in knots unable to distinguish between anti-Semitism and anti-Zionism. Labour has suspended one of its most senior candidates in May’s local elections after he claimed that “Nazism and Zionism are equally foul”. The Labour councillor, a fireman and former soldier, also reposted content suggesting that Israel should be “relocated into the United States” — the same comments that led to the suspension of the Labour MP Naz Shah in 2016. Sean McCallum, who was selected last week as the party’s candidate to be the elected mayor of Mansfield, posted the remark about Nazism on his personal Facebook page after Ken Livingstone’s suspension in 2016. “All makes perfect sense. I can’t see anything vaguely antisemitic here,” he posted. Peers have told Jeremy Corbyn that their party is in “crisis” over his “political failure” to fight antisemitism. In a letter to the party leader on behalf of the 185-strong Labour group on the red benches, Lord Harris of Haringey, its chairman, told Mr Corbyn the peers wanted “to put on record our alarm at what is frankly an embarrassing and hugely damaging mess caused by the ongoing failure to remove antisemites from our party”. Corbyn the gift that keeps on giving! Not really. I think Labour adopted the IDA ( https://antisemitism.uk/definition/ ) and it's clear that the use of the term 'Zionist' (and its diminutive 'Zio') outside purely academic discussions of 'Zionism' is now regarded as being antisemitic. See, for example, the HoC Home Affairs Committee report on antisemitism in the UK 2016-17 ( https://publications.parliament.uk/pa/cm201617/cmselect/cmhaff/136/136.pdf ): 'For the purposes of criminal or disciplinary investigations, use of the words 'Zionist' or 'Zio' in an accusatory or abusive context should be considered inflamatory and potentially antisemitic'. "Potentially anti-Semitic" is a very vague term but leaving that aside there are many Jews around the world including Israel that abhor the actions of the Israeli Government and are wholly against Zionism. So would a Jewish Labour member who thought that be kicked out of the party for being anti-Semitic? any excuse to call people rasist or anti jewish. but if its ok to call an arab an arab, or a welsh man or a scot a scot or irish an irish man. but all so if you call yourself English youre a rasist thug.